Detectives have launched a new appeal for information on the anniversary of a murder. They have reissued CCTV clips of vehicles believed to have been involved in the fatal shooting of Blake Brown on October 24 last year. 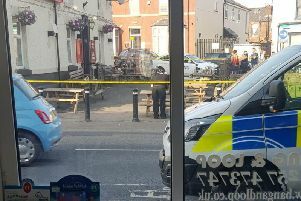 Police were called at around 10.20pm that day after gunshots were heard and a man was seen lying on Southwood Road in Aigburth. The emergency services attended and found a 30-year-old man with a gunshot wound. He was pronounced dead shortly after 11pm. Since his death, detectives have arrested 19 people in connection with the investigation, including two men and a woman from Wigan and a man from St Helens. Eighteen people were released under investigation, while no further action was taken against one man. Detectives are continuing to appeal for information in relation to a number of active lines of enquiry. Det Ch Insp Mark Tivendale said: "We are still trying to establish the movements of a white Range Rover Evoque with a distinctive black roof and white wing mirrors stolen from Column Road in West Kirby on Friday, October 14. This vehicle was stored somewhere on the Wirral until Sunday, October 20 when it was driven through the Wallasey tunnel bearing false plates of PY12 XMK. Where was this vehicle stored on the Wirral for those six days? If you saw this distinctive vehicle being driven or parked up anywhere, let us know as this could still be key to the investigation. "The vehicle was then seen parked in Moel Famau View, off Riverside Drive, around 9pm on the night of Blake's murder. Two men got out of the car and were later seen in Priory Woods around 10.20pm, immediately prior to the murder. Where were the men in the intervening one hour and 20 minutes? If you were driving past at this time, or walking in the woods, did you see anything suspicious or have any dash-cam footage. Any small detail could be vital. "Immediately following the murder, the vehicle was driven away down Jericho Lane towards Sefton Park and found burnt out the following evening in Broad Lane, Heswall after travelling from Liverpool via the M56, in tandem with a BMW M5. If you have any information as to where it was stored after the murder and before it was burnt out, let us know. "A year has passed since the murder of Blake but we remain as determined as ever to identify all of those involved and bring them to justice." Anyone with information is asked to call detectives on 0800 230 0600 or leave information with Crimestoppers, anonymously and for free, on 0800 555 111.